Sandy Zians is our special volunteer. 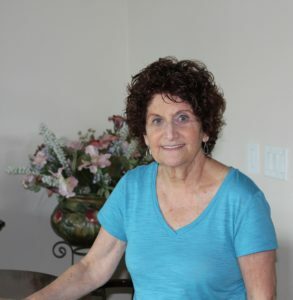 Sandy and husband Sam were members of Beth Israel for four months when they stepped up and took on the responsibilities of Ritual Co-Directors. Sam retired after 2 years and Sandy continued with all of the duties of the Director. It comes as no surprise if you “know” Sandy Zians that she jumped right into volunteering. She has always been a volunteer even when she was teaching special needs children in the Youngstown schools for 32 years and typical children for 8. She continues to share her love of education and children by substituting in our local schools. She volunteered in her congregation in Youngstown, Ohio and became the President. She and Sam gave their time to the American Cancer Society by working on the Relay for Life and chairing the Annual Cattle Barons Ball, a major fundraiser for ACS. Sandy has always said that Beth Israel is her home. She has made homentaschen for our Purim celebration since she arrived. Her kugels are well known at the pot luck meals as are her pastries. Sandy does not know how to say NO. When we needed someone to handle the Yahrzeit lists she said “I will”. Little did she know it was a yeoman’s job to update the files, but she doesn’t quit easily. William Shakespeare wrote: “although she be but little she is fierce”; he must have had a premonition as to the character of Sandy Zians. Congratulations Sandy for being Beth Israel’s Special Volunteer.